At the present time a massive amount of data is being generated by many kinds of devices such as wearables, mobile phones, temperature or humidity sensors and many others. Data could be treated and represented in order to understand and analyse the information the carry within it. 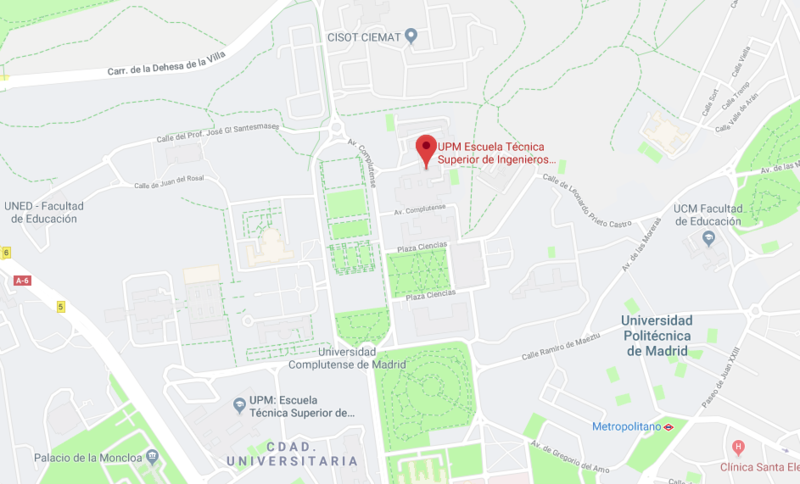 The aim of this project is to carry out the software development needed to bring new utilities to the data management and representation platform deployed in the B105 Electronic Systems Lab. Data used by the platform is generated on an IoT environment by different type of sensors. 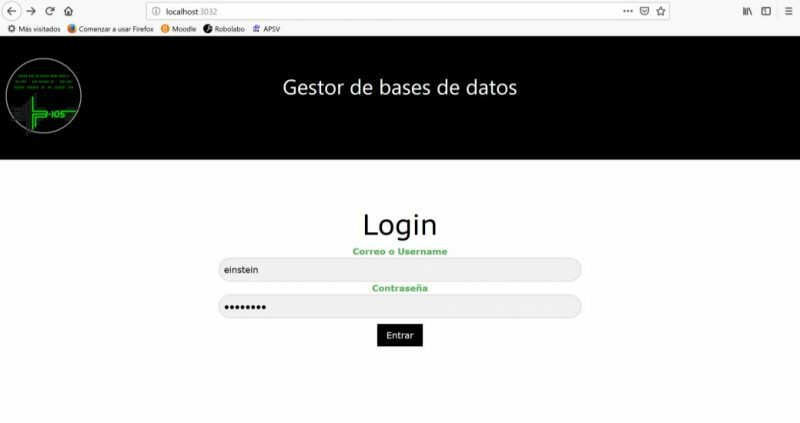 There are many tools developed by third parties in charge of data management and representation, but this project pretends to extend the system developed in the B105 Electronic Systems Lab based on an own web service. performance of his sensor node. We have also made an effort in develop an user friendly application in the server side. values obtained in a certain time. projects where there are some very specific needs and dangers. safety is an essential aspect all over the European countries and particularly, in Spain. 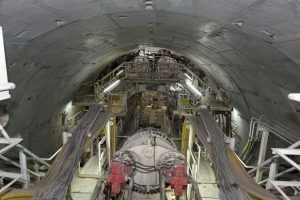 Many of the measures taken in tunnels, and particularly on trains dedicated to this kind of works, are done manually and with the constant intervention of operators and maintenance personnel which may, in some cases, lead to errors, planning delays and as a result, to increase the final cost of the work. In the case of traffic control and railway equipment inside tunnels, mechanisms for monitoring and management are scarce and usually insufficient for proper operation; these environmental, structural and traffic control mechanisms, become critical during indoors construction work. Therefore it is necessary the development of a system able to: firstly, immediately detect any problem in the train or in the tunnel infrastructure, react quickly and mitigate effectively the possible consequences; and secondly, able to manage train traffic, detecting at all times the position of each train or other machinery(such as trucks) accurately and safely. The system shall manage and act effectively and quickly with all those measures, parameters and location coordinates. 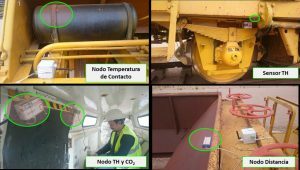 The first objective of this project was to provide key solutions for wireless seamless connectivity and interoperability in rail tunnel infrastructures by considering everyday physical environments of trains which will significantly contribute to decrease incidents and accidents at work, as well as to the optimization of the works of the rail machinery in terms of time, project costs and operation and maintenance of the equipment and facilities. 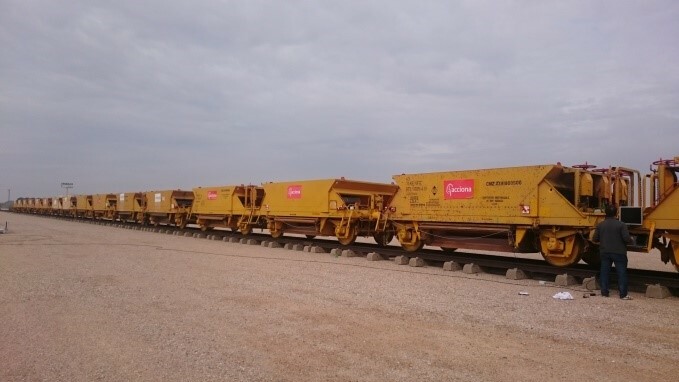 As a result of the project, it was implemented a prototype capable of managing freight trains at construction work sites, able to prevent disasters and accidents at building (or refurbishment) stage in large underground areas such as tunnels. 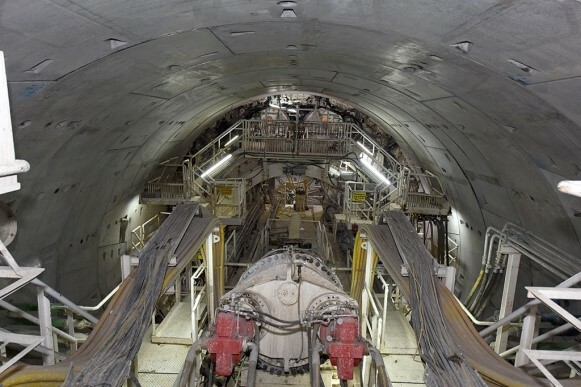 The solution designed and developed is able to reduce the effort and time required for integrating WSN solutions and services into tunnel works, railway safety-related and multipurpose systems, and to reduce maintenance costs of on-board WSN services by providing a single general integration indoor platform for wireless sensors and wireless communication services, with centralized and standard interfaces for existing systems. The B105 Electronic Systems Lab has an electronic access system in its door based on a Radio Frequency Identification (RFID) card reader. This system was developed more than 12 years ago so the technology it uses is obsolete and several of its features are out of use. The development of this degree project is intended to implement an alternative to this access control system based on Near Field Communication (NFC) technology. The RFID system requires the use of physical cards, which are easily misplaced and force the user to carry them around with him/her to enter the laboratory. 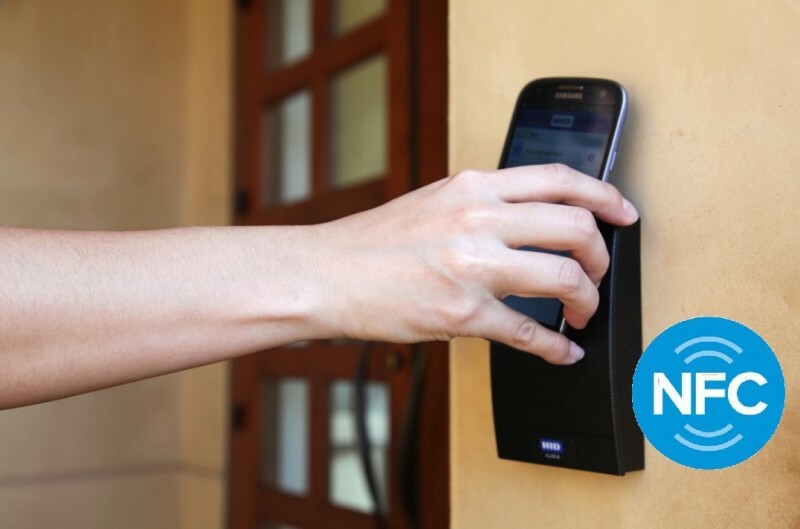 To solve this problem, the new system allows the users to open the door using their smartphone. This makes it even easier to enter the laboratory, as users always have their mobile phone with them. In addition, users are assigned specific entry times, providing greater security and a better access control to the laboratory. 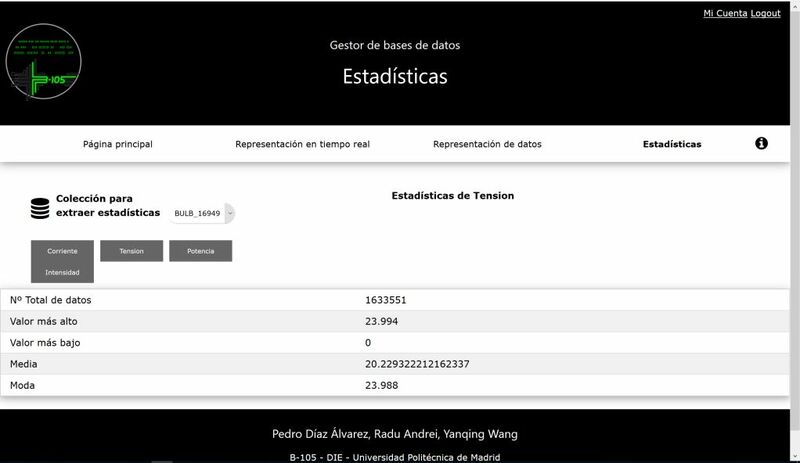 There is an equipment reservation management service in the laboratory that already has a database of members, an application and an administration website. Therefore, these resources have been used to facilitate the implementation of the new system and avoid data replication on the server. Once the system has been implemented, any user who is registered in the system and has certain permissions can open the door by bringing their mobile phone closer to the reader. To achieve this, the existing access system has been built on and relevant technologies have been studied. The development and implementation work has been divided into three blocks: the NFC reader, the application and the server. The reader, integrated into the door opening system, acts as an intermediary between the application and the server. On the other hand, the application only has to emulate the access card and send the entry request. Then, the server evaluates this request checking the user information and its database and it sends a response to the reader. Depending on the message received, the reader opens the door or not and finally informs the user of the decision. The augmentation in the number of risk situations and accidents has caused an increase in the number of spinal cord injuries. These injuries cause plexias and paralysis of the different members of the affected person. This problem has made it necessary to start looking for possible therapies to enhance the lives of patients. One of these solutions is Functional Electrical Stimulation (FES). FES is a technique based on the use of electrical stimulation of the motor nerves in order to generate a functional movement such as walking or picking up an object. This technique involves a series of stimulation parameters that are necessary to control: the stimulation amplitude, the stimulation frequency, the pulse width that composes the stimulation pattern and the waveform of the signal. 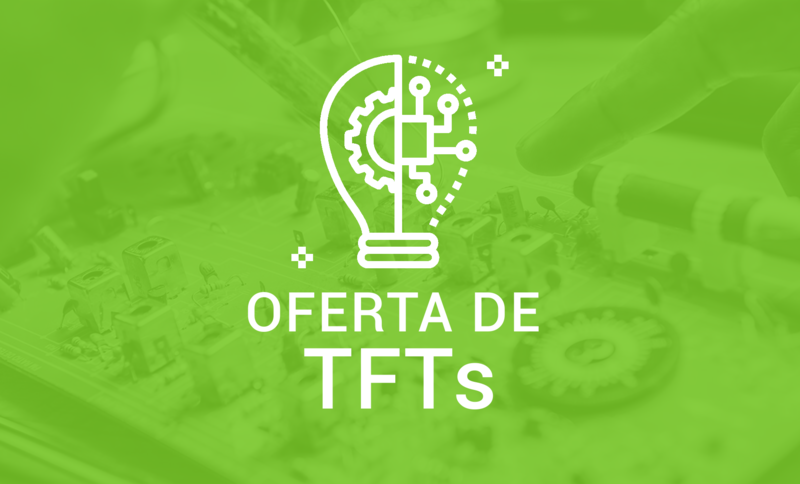 The objective of this End-of-Degree Project was the development of a platform that allows the electrical stimulation of the motor nerves and the control of the stimulation parameters. The device designed in this project is constituted by a hardware part and a software part. The stimulator is composed of a series of modules: amplifier module, signal generation module and human-device interface. 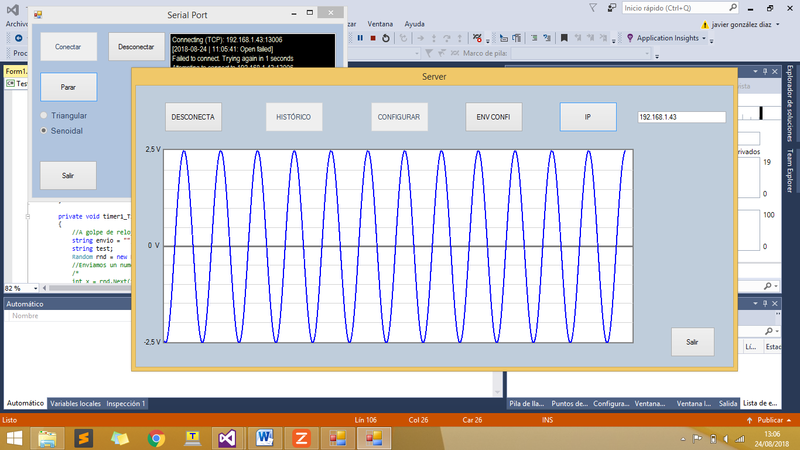 The signal generation module allows us to control the stimulation parameters through the designed software. Additionally, it is necessary to design an amplification module so that the signals generated have the voltage and current levels necessary for stimulation. The power supply module is responsible for the power supply of the amplifier module and the signal generation module. The interface between the device and the user is based on surface electrodes connected to the output of the amplifier module. 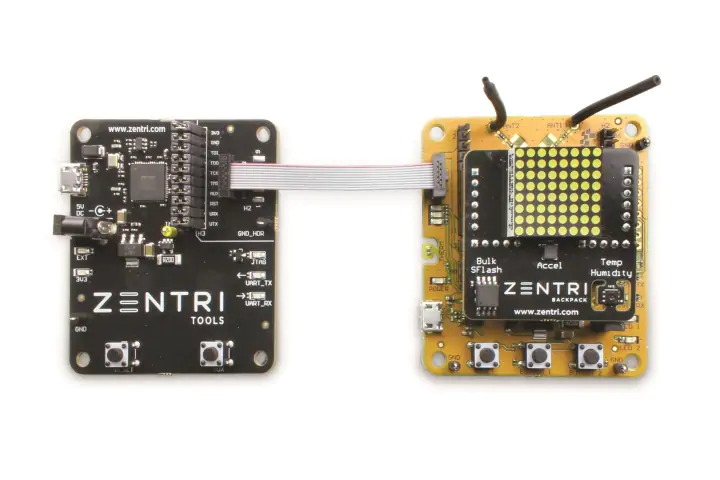 The different modules and their components are implemented on a printed circuit board (PCB) that will support and join the modules. 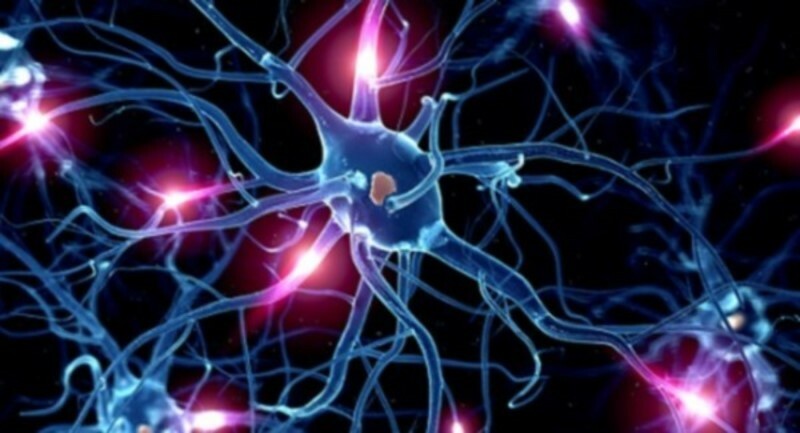 The future of functional electrical stimulation is the creation of closed systems to control the stimulation parameters according to the position of the muscles. Two possible routes can be taken: the use of sensors such as accelerometers and the creation of brain-personal interfaces. Massive and rapidly increasing use of wireless devices is raising concerns about eventual saturation of the available spectrum in wireless communications, known as the spectrum scarcity problem. 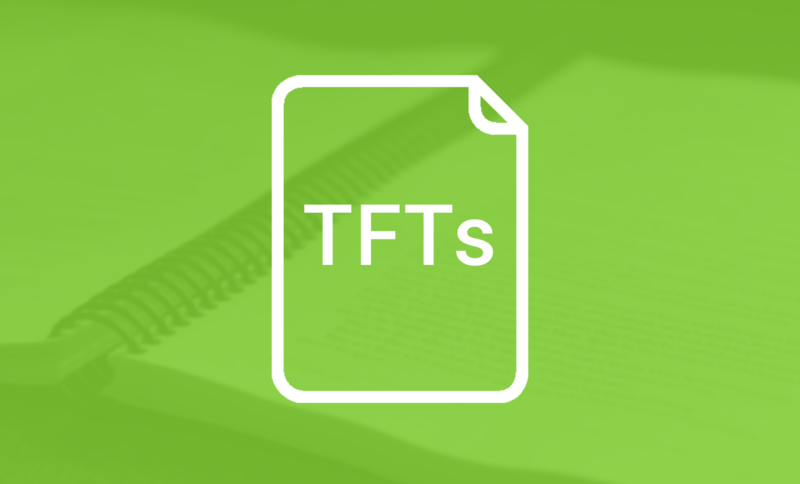 This issue is especially relevant for power- and resource-constrained devices, even more when considering the largely variable and adverse environmental conditions radio channels are usually subject to. Considering the case of a network of sensor nodes, a smart approach to face this problem is the use of Cognitive Wireless Sensor Networks (CWSNs), which consist in networks capable of modifying their communication parameters depending on the environmental conditions. 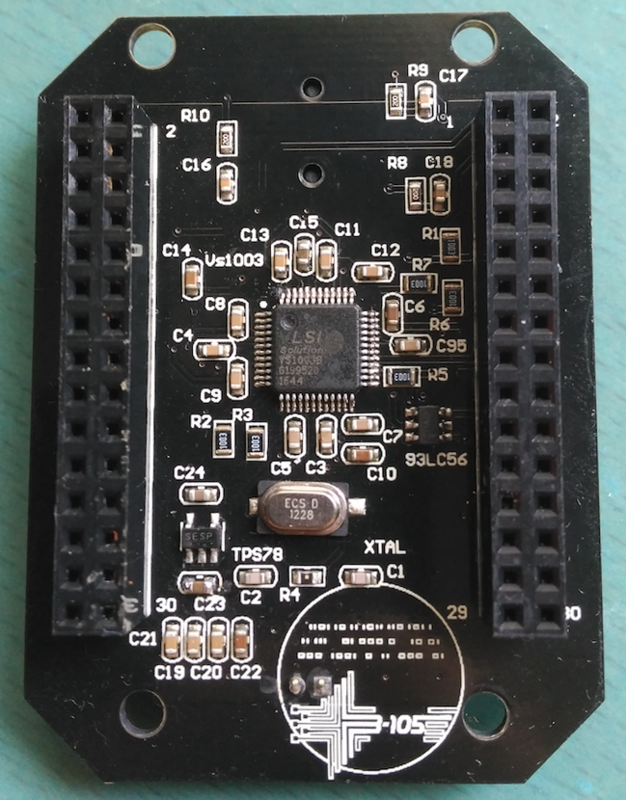 One of the ongoing research lines of the B105 Electronic Systems Lab focuses on the development of low-power CWSNs by designing sensor nodes using a Software-Defined Radio system (SDR). 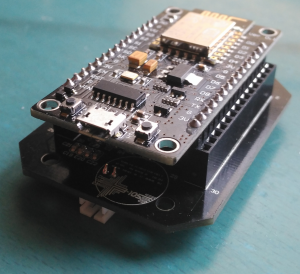 Specifically, an architecture based on the Atmel AT86RF215 transceiver and the SmartFusion2 System-on-Chip (SoC) is used to carry out certain cognitive tasks. The specific objective of this project was to implement communication between the aforementioned elements and a personal computer (PC). 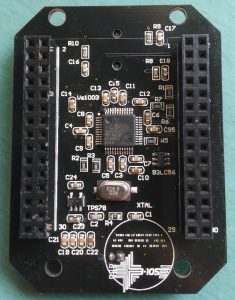 To achieve that, a Printed Circuit Board (PCB) was developed to serve as an interface platform between the different hardware elements in the system. Then, the controllers required to manage communication between the transceiver, which acts as data source, and the PC, which is the receiver, are implemented on the FPGA embedded in the SmartFusion2 SoC. For the successful realization of this project it was necessary to carry out both hardware and software development tasks. In addition, the programming languages C and VHDL were used, as well as the communication standard protocols Serial Peripheral Interface (SPI) and Low Voltage Differential Signaling (LVDS). The aim of this project, was to design a functional prototype for the transformation of energy based on the principle of piezoelectricity, in order to harvest the energy produced. After some research, this is determined to be the best postulate to generate electrical power at a low scale for applications in electrical systems that require low voltage power supply, working as a stand-alone power to charge both, medical and electronic devices. Therefore, the energy that can be harvested depends on two factors: the properties of the piezoelectric material and the amount of deformation applied to the material. Some of the materials that show piezoelectricity are: quartz, lead zirconate titanate (PZT), aluminum nitride (AlN), zinc oxide (ZnO) and polyvinylidene fluoride (PVDF). The special property of these piezoelectrics is that it allows them to convert physical energy into electricity, AC. However, we need DC, not AC to power devices. This problem can be solved creating a rectifier bridge with diodes to convert the power from AC to DC, and thus be able to use it. Taking into account all the mentioned above, the prototype that has been created is formed by 7 PZT piezoelectrics of 35 mm diameter, as shown in the picture at the top pf the page. Finally, it has been proved, when charging some capacitors, that it is better to have the shoe sole outside, placed on a smooth surface (as a carpet) and then making pressure on them. In such a way, the most relevant results were obtained. The capacitors were charged more quickly than while walking with the shoe sole inside. The order of magnitude of the power generated by this assembly was mW, and the energy generated was in the order of mJ. In the last years, the Vehicular Ad hoc Networks or VANET’s are gaining relevance in order to improve traffic management and road safety. In addition, autonomous cars technology has been a boost for VANET’s research in recent years. One of the main services provided by a VANET is the localization support with a Global Position System or GPS. However, the GPS has an error of 3 to 7 meters, a better accuracy may be necessary in some applications. Moreover, in areas with no GPS coverage like tunnels there would not be any localization support. Therefore, another localization method should be implemented to improve accuracy and coverage, which is the main purpose of this project. In this degree project, a VANET has been used to provide vehicle localization. However, conventional VANETs devices are very expensive and have very large power consumption, so we use a Wireless Sensor Network or WSN as a low-cost and low-power alternative. WSN’s are similar to wireless ad hoc networks, but they have a lower cost. However, these resource-constraint networks does not allow implementing complex algorithms. The localization algorithm selected in this project is the Fuzzy Ring-Overlapping Range-Free or FRORF. It has been modified so it could be implemented in resource-constraint nodes with low computational capabilities. This algorithm has been implemented in wireless nodes developed by the B105 Electronic Systems Lab and several tests have been performed in different scenarios. 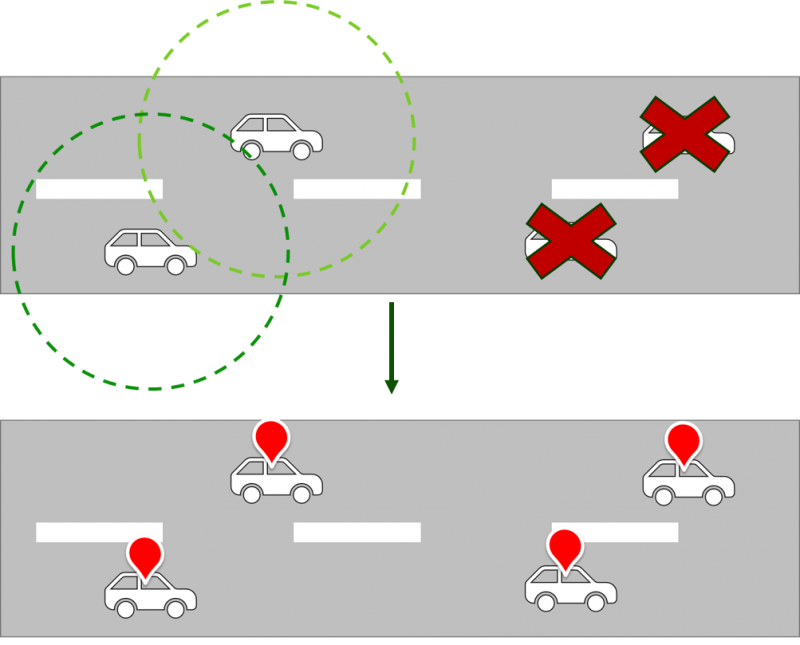 The position of the vehicle has been obtained in these scenarios and has been compared with the position obtained from a commercial GPS module. With the results it is possible to conclude that the implemented algorithm has an error of 1 to 9 meters. This error is similar to the GPS error, so the FRORF algorithm can provide a reasonable position of a car. Althougth the accuracy needed for a VANETs is not solved, the algorithm provides localization in interior areas. This advance is very important as localization support services may be provided in zones without GPS coverage.